In Japan, January and February are "strawberry season" and you can find strawberry sweets everywhere. Another popular thing in winter time in Japan are the strawberry buffets. Most famous hotels will hold such buffets for lunch or dinner, offering a great variety of strawberry themed sweets. 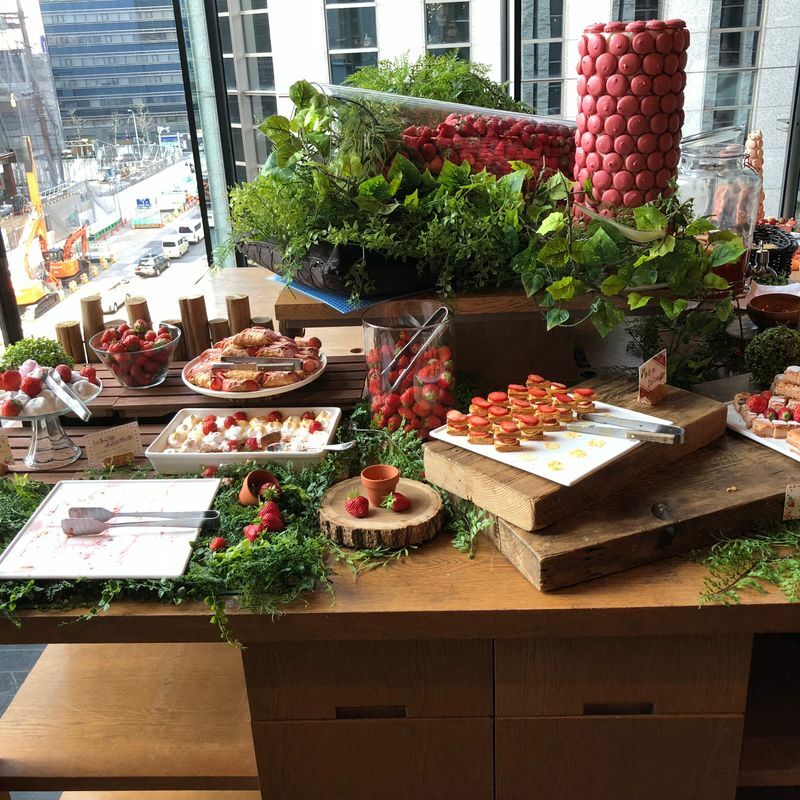 Last year my husband and I decided to try out one of these strawberry buffets as the pictures always look pretty stunning. We had quite a hard time finding an affordable one as in a lot of places you pay 4,000 yen or more for a dessert-only buffet with drinks. Luckily I found the XEX Nihonbashi in Tokyo that offers an affordable strawberry buffet. Last year we paid 3,000 yen on a weekday for an Italian lunch buffet with salad, pasta, rice and pizza and a sweets buffet with a lot of different strawberry sweets. This year it seems the price was increased to 3,200 yen. On weekends the price is a little more expensive. The restaurant is very close to Mitsukoshimae station but can also be reached from Nihonbashi station or Tokyo station. You have 90 minutes to eat and soft drinks are included as well. The buffet is available during lunch time from the end of December until the end of May. If you want to go on Valentine's Day or White Day it might be difficult to get a reservation but if you are not limited with that specific date it should still be possible. Nevertheless these buffets are quite popular so it is best to reserve early. Even though XEX is not as fancy as, say, a Hilton hotel it had a nice atmosphere and was suited well for a romantic Valentine's Day lunch. There were some couples but also groups of women enjoying the sweets so it would also work well for a Valentine's lunch with your female friends for those that are not currently dating. 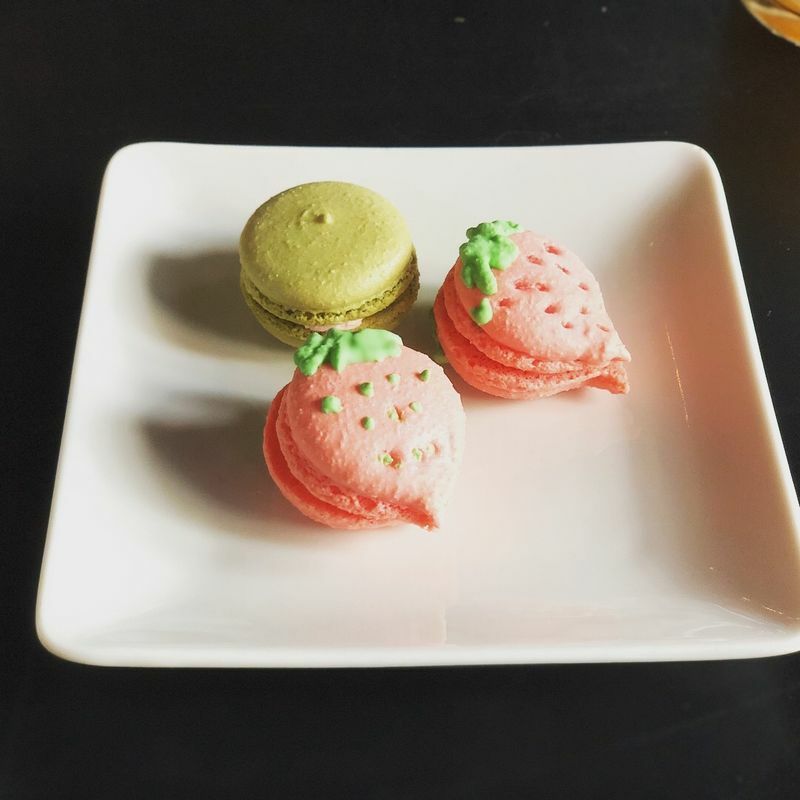 The strawberry buffet offered a wide variety of sweets from macaroons over small cakes to Japanese style mochi sweets. Everything was cut into small portions so it was easy to try a lot of different sweets. They even had a strawberry chocolate fountain with a lot of items to dip into the pink strawberry chocolate. I had seen regular chocolate fountains a few times but strawberry was new for me. 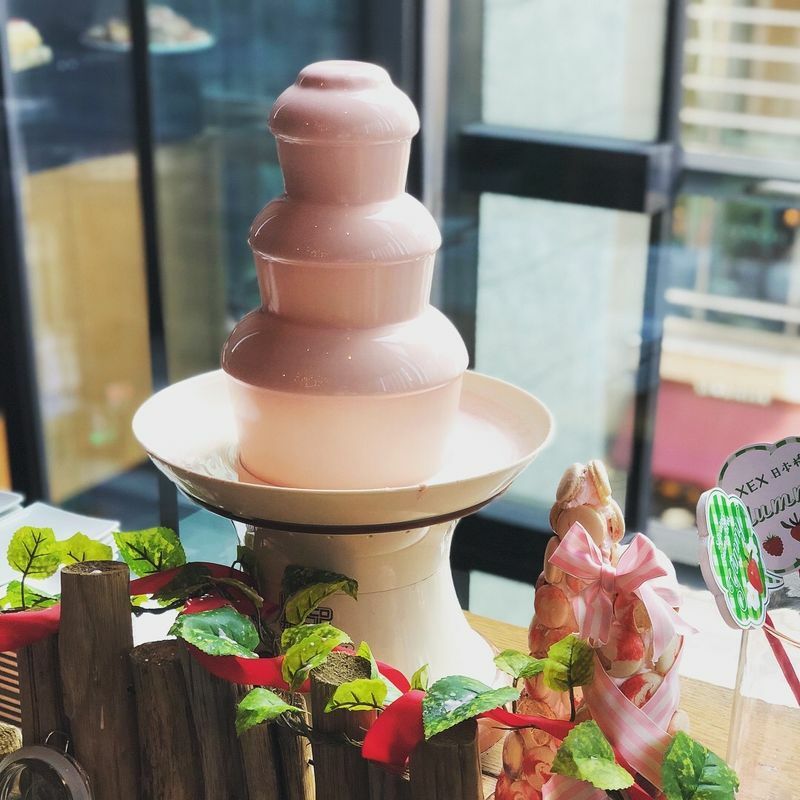 Usually the chocolate used for chocolate fountains is not that sweet so I am not such a big fan but here it was white chocolate with strawberry flavor which is very nice and also kind of romantic. The sweets were being refilled constantly so there was enough for everyone and everything was arranged very nicely. They tasted quite nice as well but it was nothing too special. I assume that at the more expensive places you might get more exquisite food but it was perfectly fine for us. 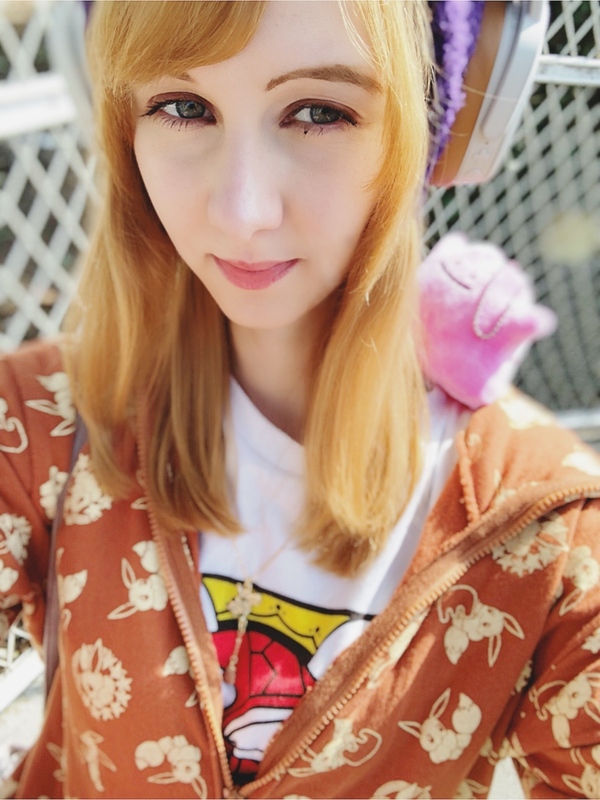 I would recommend to not eat much for breakfast so that you can try all the sweets and the main dishes of course. We were so full afterwards that we skipped dinner that day. These buffets are perfect for everyone who loves sweets and strawberries but even if your partner does not have such a sweet tooth, they should find enough at the salad and main dish buffet to not leave with an empty stomach. If you have never been to a strawberry buffet it is something you could try during this years Valentine's season. 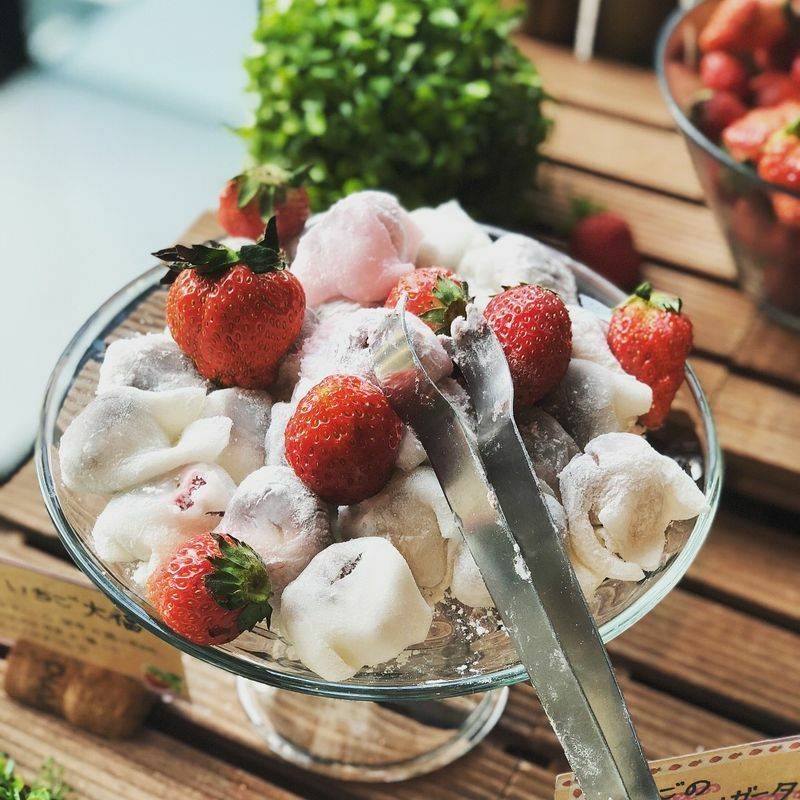 There are also a lot of other themed buffets held at hotels in Japan all over the year, so if you are not into strawberries just check out what else is available.